When I first came up to Bremerton in 2001, I paid $545/month for a two bedroom apartment. I can only guess at what a two bedroom apartment is today, but I have to ask, has your pay doubled or more in the last 15 years like rents have? I’m seeing a lot of people cheering on the new apartments being built in and around Bremerton these days. Well, I have news for Bremerton residents. Those apartments aren’t being built for you. They’re being built for the commuters who live in Seattle and can’t afford Seattle apartments anymore. 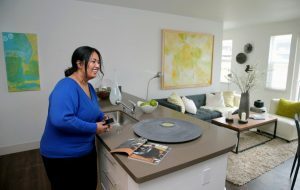 If you’re someone already living in Bremerton and working at a job that pays $12 or less per hour, you are still going to be looking for an affordable place to live. I live on Oahu ( Kaneohe) and the same thing is happening here, median price of a home is $750,000, ridiculous!!!! I’ll be moving to Kitsap in the near future. At least you can get in your car and go somewhere, I have to save up for a whole year so my wife and I can get on a plane to visit the “Emerald City”. Hang in there! Thanks to all the rental agencies in Kitsap County for raising the rents and making the homeless situation worse! They booted everyone out to make repairs in some apartment buildings and bring them up to code then changing them to luxury apartments and raising rents. So what happens to all the tenants that lived there? Most of them are now homeless because they cannot afford to rent anywhere else. The city needs to enforce rent controls with no rent raises so people can afford to live! Building more apartments will not fix the problem! Lower the rents so we can live! This is Bremerton, NOT Seattle! The new 606 Apartments on Burwell are way overpriced! A 2 bedroom unit is $1,450 a month! They expect people from Seattle to live there and that is why they built them. I visited several apartment complexes 2 years ago and asked them why a studio apartment cost $998 a month and the answer was because of Seattle. Why isn’t the city council doing anything about this? How about the Mayor? What do we pay you for! Get on the ball and fix the problem! You are 100% on point. This is a disgrace! Joe, the Mayor IS the problem. Patty Lent has sold her soul to her developer friends through their campaign contributions to her over the course of her 2 election bids. She and the council have recently engineered tax breaks for most of the current apartment developers in the downtown Bremerton area. These (property) tax breaks hinge on the property owners (developers) promising to set aside a certain number of units for lower rent controlled housing. However there is no long term enforcement or ability to verify compliance with the promised percentage in the long term for these “set asides”. She and the council also engineered that most of the Community Block Grant funds Bremerton receives from the state now can only be distributed in a 6 block area of downtown. That means that the money is now going to wealthy developers for their projects. I was at the City Council meeting where this actual vote occurred to allow this. These are community development funds that are given to Bremerton to help struggling businesses and areas of the city that need help to improve. Instead the money is now limited to the downtown that has received nearly half a billion dollars in Federal State and Local taxpayer money within the last decade and still has little to show for it. Saying The 606 is overpriced implies that they are charging more than the market will bear. Somehow I think that won’t be the case. How could the mayor/city council fix this? The only solutions would be rent controls or subsidizing developers and encouraging the market to be flooded with apartment buildings until there are so many vacancies that the market drives rents down. Seriously??? The mayor??? She’s the reason all the construction of apartment buildings is happening in Bremerton. She sees the city as a mini-Seattle, where you pay top dollar for bottom end apartments. My rent where I’m now living in Bremerton, went from $440 to $675 over the course of probably 9 – 10 years. Then, at the end of August last year, everyone got a notice that their rent was going up $160 a month on October 1, 2015. If you signed a lease, your rent was $835 – plus utilities, which the owner had been paying up to that point, with the exception of water, which each tenant paid $25 a month for. The building was built in 1918 and trust me, the most recent improvements made, prior to the running of Comcast cable to the entire building, was when phone lines were installed in the 1930’s. I had to have my apartment rewired because none of the phones would work on the old phone lines. They keep talking about ‘beautification of the grounds’. Let’s see some modernization of the units, then maybe charging $975 for a 2-bedroom wouldn’t seem so excessive. There is very little storage in the apartments. The walk-in closets have a pole running from the front to the back on one end of the closets, which is no more than 3 feet. I had to start using the closet in the spare bedroom because there wasn’t any room for any more clothes. The carpeting was supposed to be replaced shortly after I moved in (I’ve been there since March, 2000), but has never been done. They did put in double pane vinyl windows, which was very nice, but it doesn’t enhance your quality of living. The paint is peeling off the walls and ceilings, and I’m sure it’s got lead in it. There are exactly 4 outlets in my living room, my bedroom, and the spare room. I cringe when I think about how old the wiring is in that place. The fact is, there is just more money coming to Kitsap in the form of upper-middle class commuters from Seattle and new middle class jobs created by private business and the local bases. It’s no secret why home prices and rents have shot up by double digits over the last year. People are willing to pay those prices. Unfortunately, the individual earning $12/hr will always struggle to make ends meet, especially without a roommate/partner. I was making $12/hr in 2005 and only working 36 hours a week. I was in no way struggling at that time. By the way, before anyone says people like me should go back to college and get more skills for a better job, have you looked at the price of Olympic College here in Bremerton? All of the 3 unit classes are pretty much gone. Now those classes are all 5 unit classes because the college charges by unit and the more units, the more money for them. I’m an engineer I’d say it is a decent skill that makes “$$”. I still think paying $1250 for a basic 1 bedroom apartment is outrageous. It is, in fact, the fault of state legislatures not protecting the rights of their constituents and widespread abuse of renters in Kitsap Co. In Seattle, a 60 day notice is required if rent is going to increase by 10% in a 12 month period. My rent went up 15% in 9 months. That is an INSANE increase. My last rent increase before that was 3.3% in 12 months. 3.3 % is a reasonable increase. 15 % is out of control. In 21 months my rent has increased by 18.3%. Not to mention the fact that being in Kitsap we are not protected by the same laws in Seattle. This lack of law and order allows landlords to abuse their power here and hike up rents as they see fit with no repercussions or in my opinion adequate notice (i.e. less than 60 days warning).